The Fat Bidin Vlog (Ep 7) – An #ArtForGrabs weekend meeting friends & fans! Ep 7 – An #ArtForGrabs weekend meeting friends & fans! Subscribe to the Fat Bidin YouTube Channel. If you would like to buy any of the books featured in the video, visit The Fat Bidin E-store. ← The Food Show (Ep 4) – Ang Swee Poh ABC Chicken Soup! You just got some the other day! It's the first film out by Amir Muhammad's @kumanpictures! James Lee’s horror movie #TwoSisters should be horror-ficly scary! #TwoSistersMovie #KumanPictures @doghouse73pictures . Watch #TheFatBidinFilmClub’s review at FATBIDIN.COM or YOUTUBE.COM/FATBIDIN. You can also find the link in the bio. Enter your email address to subscribe to FATBIDIN.COM and receive notifications of new posts by email. 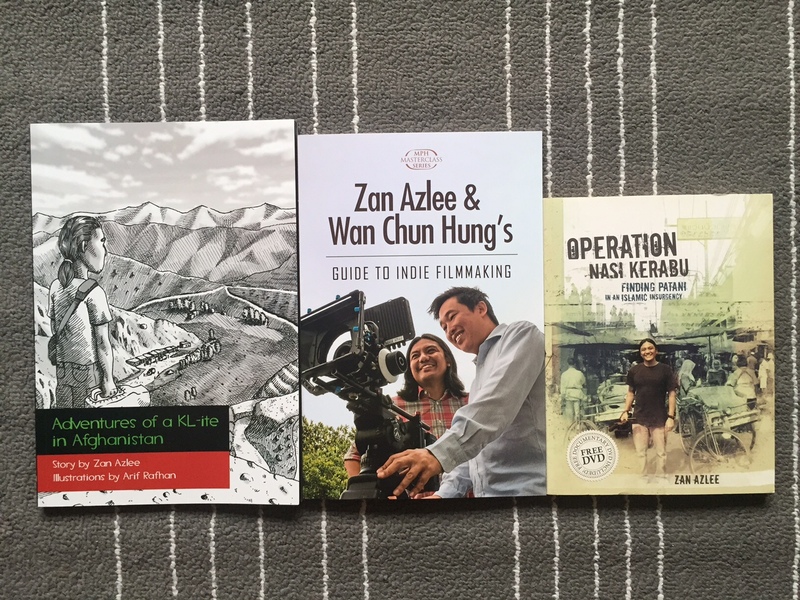 Get Zan’s best-selling book LIBERAL, MALAY AND MALAYSIAN! It’s available at bookstores, but buy it here and get a signed copy! OWN ORIGINAL FAT BIDIN FILMS (DVDS), BOOKS AND MERCHANDISE! A group of siblings and relatives who drive taxies are actually a group of small time heist gangsters. Malaysia has become the world’s rubbish dump, importing 90% of the global plastic waste. And the worst part is that it isn’t being processed properly and people are getting sick. Zan Azlee catches up with his friend who became a Cabinet Minister literally overnight and they have a really fun chat. Ep 76 – Illegal fireworks during Raya! Shhh… don’t tell anyone about the fireworks. My name is Zan Azlee. I’m a MULTIMEDIA JOURNALIST, DOCUMENTARY FILMMAKER, WRITER and a NEW MEDIA CONTENT CONSULTANT. I'm a mass-comm LECTURER at several local universites. I run FAT BIDIN MEDIA. I used to be the SENIOR EDITOR for DIGITAL MEDIA at ASTRO AWANI. It's not HOW MANY… but WHO views it!